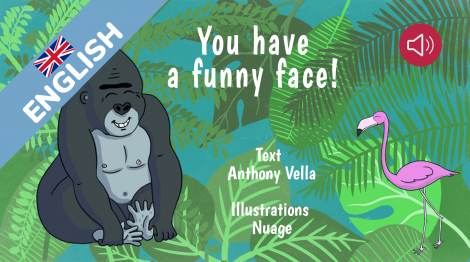 Histoire pour enfants - You have a funny face! "You have a funny face!" gives way to talk about differences. There are animals, then a boy: they all tease each other based on their differences. This is to unveil curiosity and to invite everyone to learn about tolerance and accepting others. To live together happily! Animated story, voiced by Aisha Morales Park, 26 pages. Teach kids about tolerance and accepting others!